MacRumors forum member deuxani decided to take it a step further and compared the 4.7″ iPhone 6 to its Android-based competition. 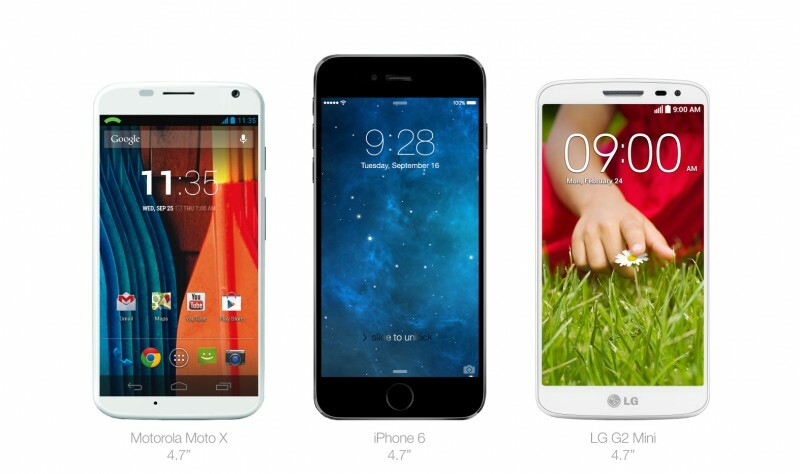 First, deuxani compared the rumored iPhone 6 to the Motorola Moto X and LG G2 Mini, two 4.7-inch Android phones, that were actually smaller despite having the same screen size. This is largely because of of the rounded Touch ID sensor on the bottom and the need for the top and bottom bezels to be symmetrical due to Apple’s design philosophy. 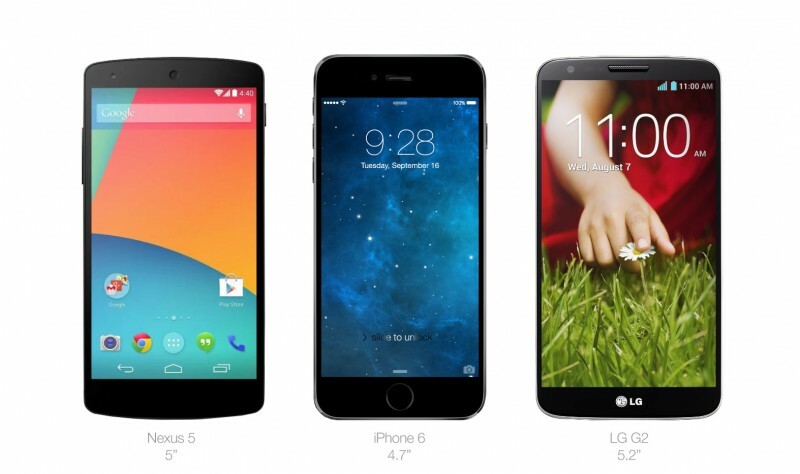 Compared to the 5″ Nexus 5 and the 5.2″ LG G2, deuxani found the iPhone 6 could be as tall as either phone with less screen real estate. And finally, when compared to this year’s flagship 5″ HTC One (m8) and Samsung Galaxy S5, deuxani found that the Android devices were larger in every way. 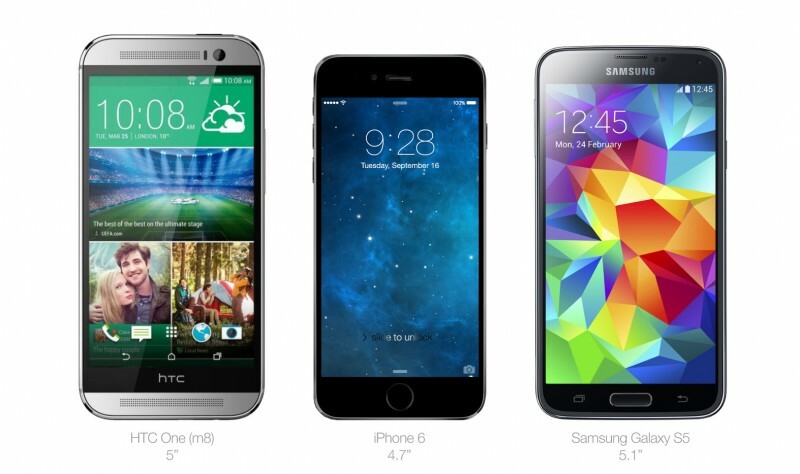 Apple has been rumored to release two larger sized iPhones this fall. The rumored sizes are 4.7″ and 5.5″, though the 4.7″ version is thought to arrive first as Apple is allegedly having a difficult time finding a thin enough battery to place in the 5.5″ model. A recently released Apple slide revealed that the company acknowledged that consumers wanted larger screened phones, which Apple couldn’t provide them at the time.